Change the faces and the language and this market in Tarma Peru would fit in perfectly just about anywhere in the majority world. Fresh fruit, vegetables and just about any type of folk foods and medicines are available and you can always negotiate the price if you think it’s too high. 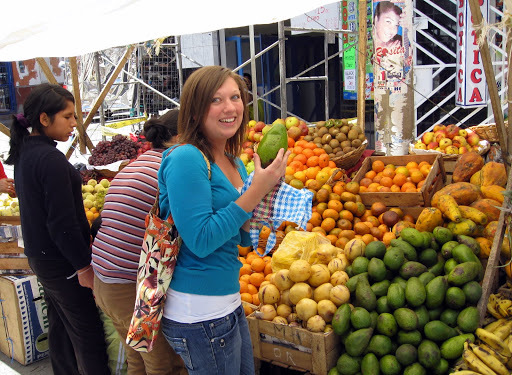 Bethany shows the local aguacate (avacado) that made for a great snack later in the day.